Each day on this Adriatic adventure brings something new, from canals in Venice, to underground caverns in Slovenia, to clifftop monasteries in Greece. 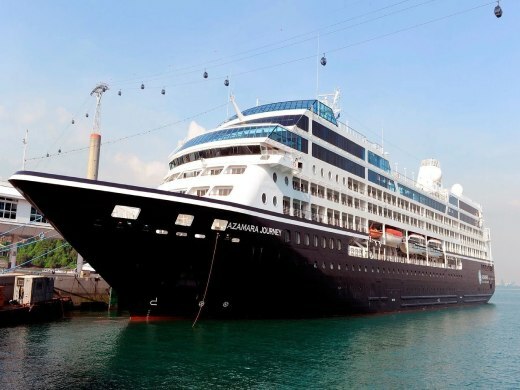 Azamara Journey specifically designed to be smaller and more sleek than most cruise ships, Journey, like her sister ship, Quest, is filled bow-to-stern with wondrous luxuries and appointments that enhance your voyage of discovery-making it one that you won't soon forget. There's a timeless romance that begins when you wander aboard Azamara’s ships. Because it's easy to fall for Azamara’s well-appointed amenities, impeccable service, gourmet cuisine, and warm and inviting atmosphere. So, give in and enjoy your every indulgence. You'll love how Azamara makes you feel. Each ship offers more of what you desire. Both are specifically designed to be smaller than most cruise ships and filled bow-to-stern with wondrous luxuries and appointments. And with just 694 guests onboard, you’ll discover a more intimate way to travel. See for yourself how truly remarkable an Azamara voyage can be.